Only 10 more days left this year to Sale-a-brate! Don't find yourself like this because you missed out.. 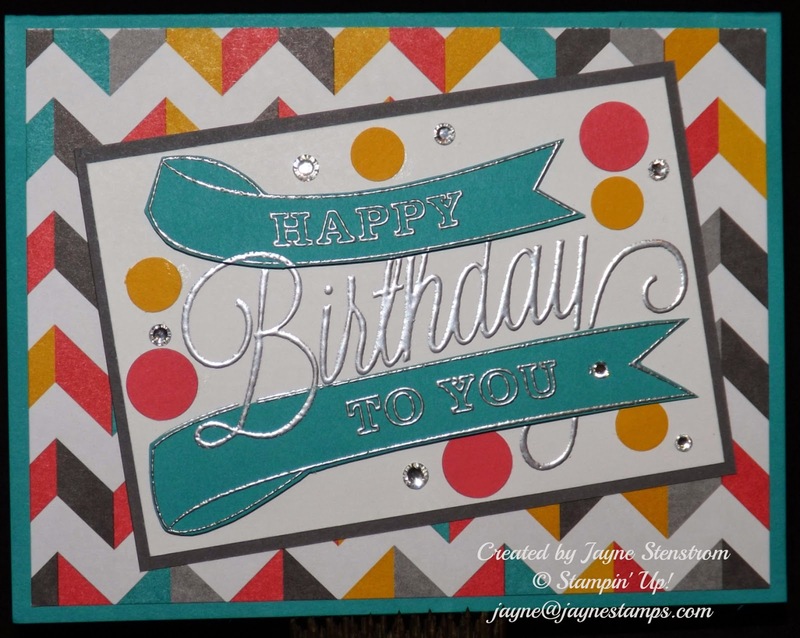 When I saw this stamp set in the Occasions catalog this year, I immediately saw lots of possibilities for it. I love the bold strokes of the "Happy Birthday" image. 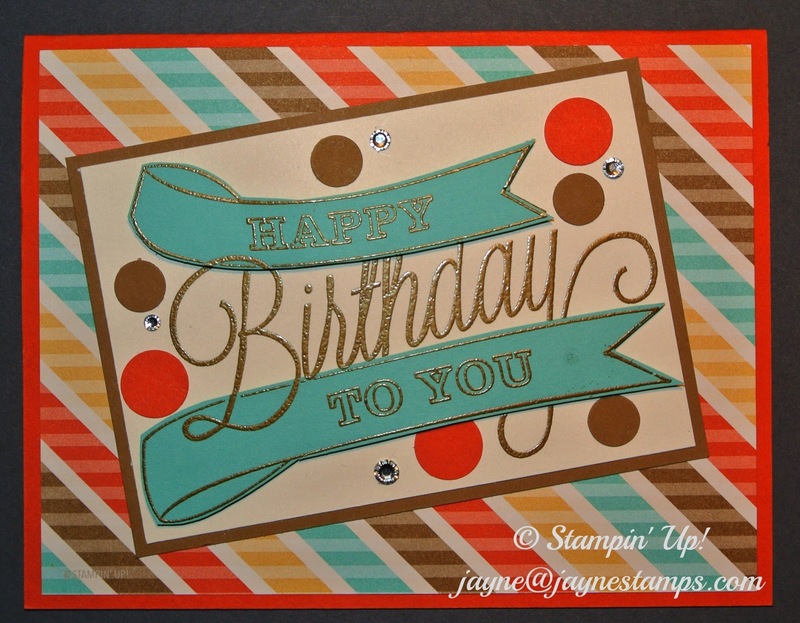 I already showed you one sample with this stamp set from the Upscale Swap Group. These cards all have the same layout, but because the designer series papers are different, there's a subtle change in the "feel" of the card. 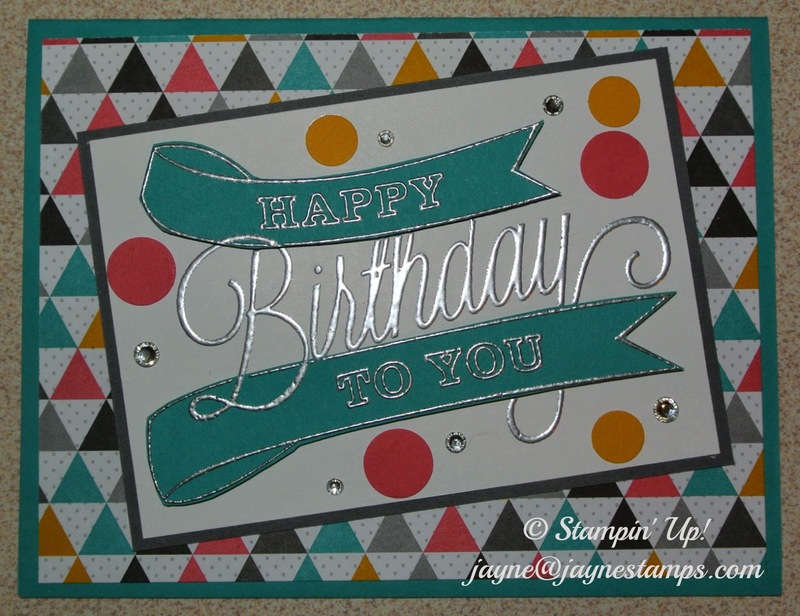 The two cards above were both made using the Kaleidoscope DSP, but different patterns from that pack. The image is embossed with silver powder on white and also on Bermuda Bay. The banners were then cut from the Bermuda Bay card stock and layered on top of the white image with Dimensionals. Such a happy and cheerful card, isn't it? This card has the same layout, but uses the Retro Fresh DSP. It's embossed with gold powder instead of silver, which seemed to look better with this paper. I think it has a more masculine feel to it, don't you?